Introducing the newest addition to our collection of modern dining sets, this beautiful Cream Svenska Clear Glass Dining Set. A perfect addition to add to any room in your home if you're looking to give your interior a instant modern upgrade with minimal effort. 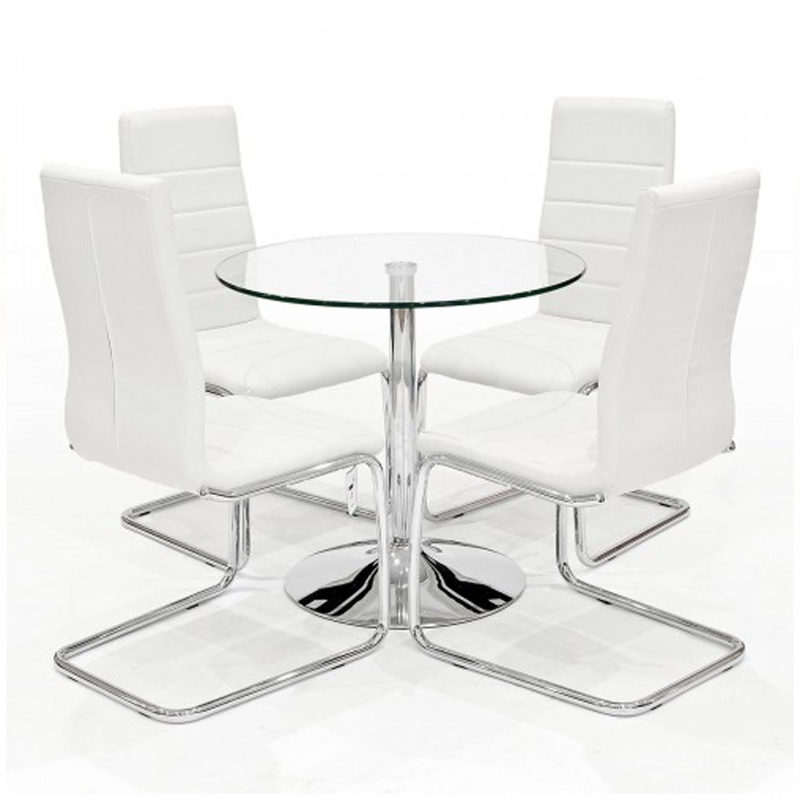 This set is complete with four high quality cream chairs with a chrome base and finished off with a clear glass round dining table.